When I think of June, I almost always think of June brides and garden weddings. The thought of being a June bride is something little girls everywhere are dreaming of. 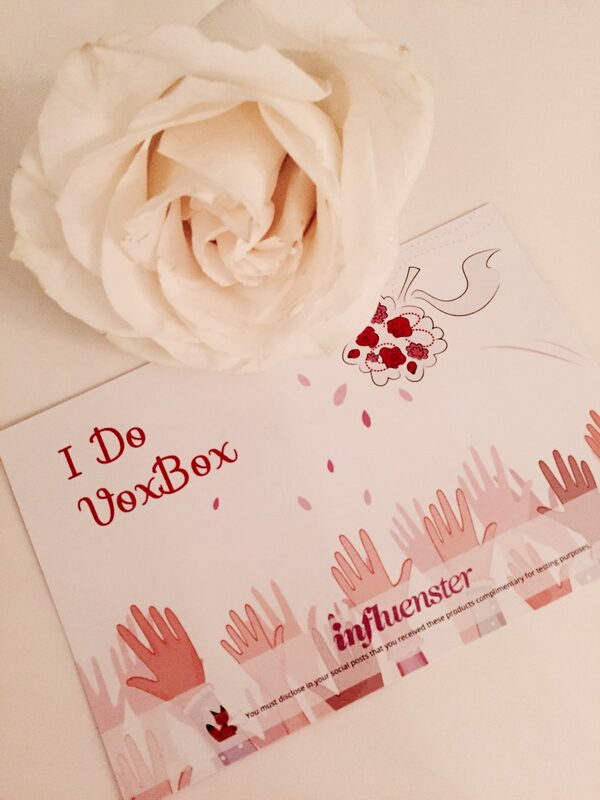 This past June, the IDoVoxBox from Influenster was sent to bloggers anxiously awaiting the coveted email informing them they had been selected. It’s an exciting email to receive! 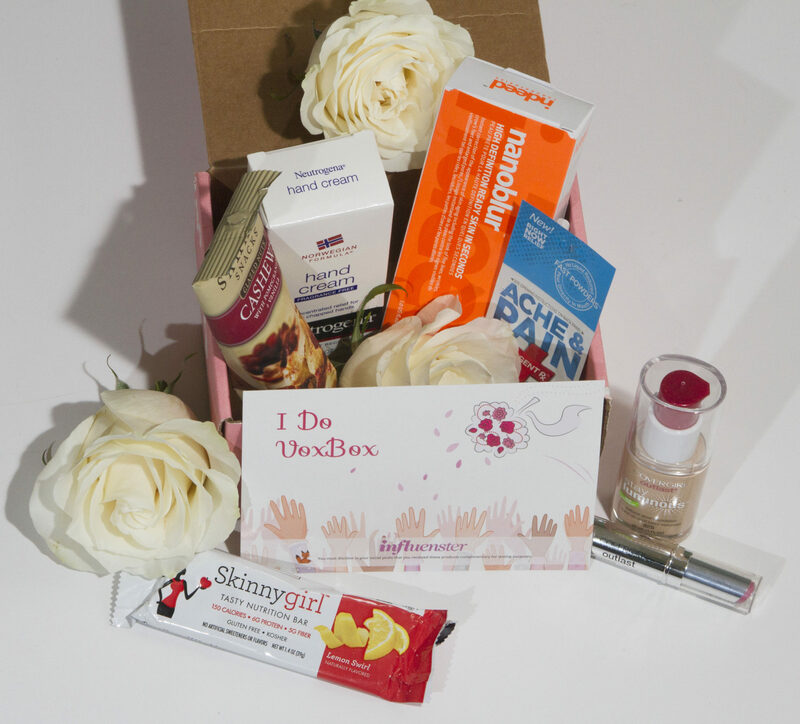 The charming pink box was sent to 5,000 homes and packed with a thoughtful collection of products that a bride would find useful on her wedding day. These goodies could all be for the bride she could share with the friends and family she’s surrounded by on her special day. 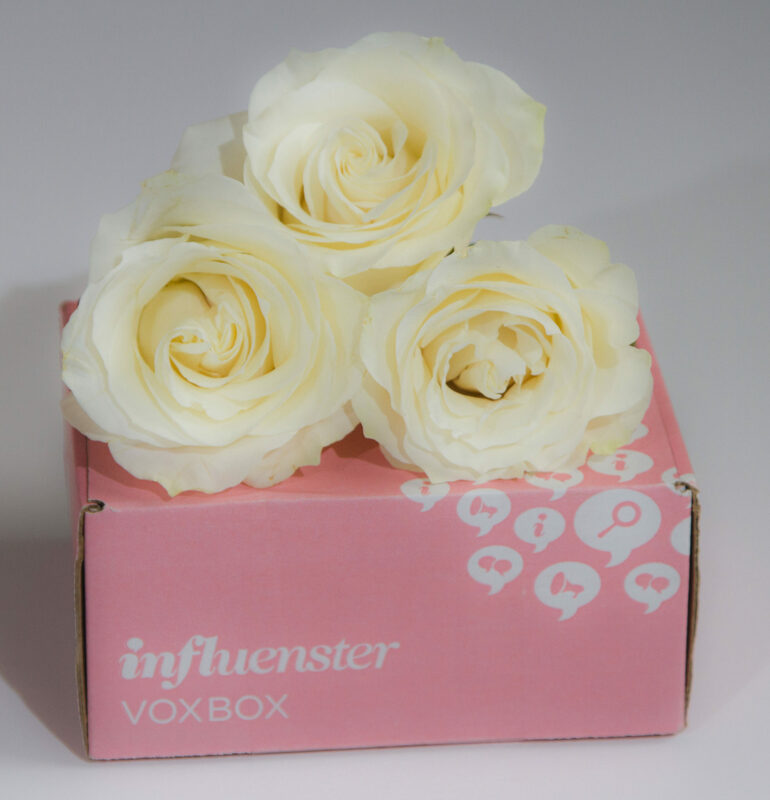 Would you like to take a closer look at what was in my IDoVoxBox from Influenster? I prepared this post especially for my readers to share the box with you along with product details and my personal thoughts on each item in the collection. Let’s get to unpacking the IDoVoxBox! I’m not going to provide a lengthy review on each product but I’ll provide a high level overview and my thoughts and impressions after testing the different goodies that came in the box. 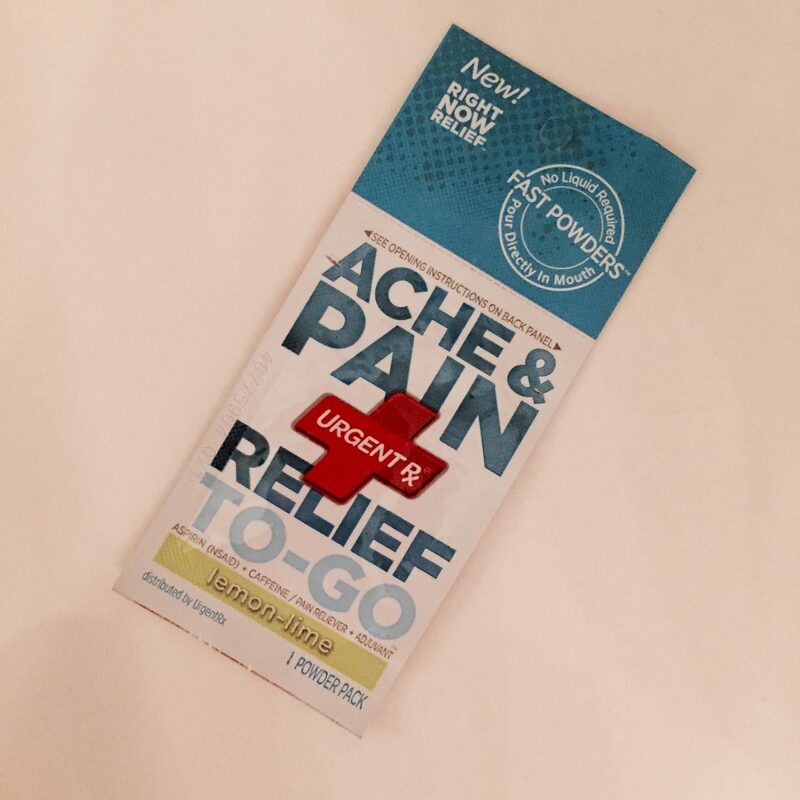 These medication packets come in different formulas and are designed to be fast acting and easily consumable. You can take aspirin, acetaminophen and other over the counter medications quickly using UrgentRX premeasured packets without needing water. The contents of the packet are a flavored, fast acting, medicated powder. I had no idea these existed! I’ve always wandered around with a pill bottle rattling in my purse. These are great to keep handy whether it’s a wedding day or just an average day. I tested the the ache and pain relief and it is a lemon-lime flavor. The flavor was so-so but definitely not bitter or overly tart which would make you reach for water and defeat the whole purpose of the product. Men have it most difficult because they can’t put a bottle of aspirin in their pocket. With these, you could have four or five over the counter medications tucked away in your pocket or a small bag. Pretty innovative if you ask me! I’ve always been a fan of snack bars because they are easy to carry around and don’t easily spoil. That’s why something like this was perfect in the IDoVoxBox. It’s an easy, quick snack that shouldn’t make a mess. These come in a variety of flavors and I tested the lemon swirl. The bars are super moist, sweet and a good snack size. However, the lemon bar was quite sticky. So, that’s something to keep in mind. It’s a not a deal breaker but if you peeled the foil package off and just went for it, you’d be left with sticky fingers. That’s not good in any situation especially a wedding dress but as long as you peel back the foil as you snack on this, there are no downsides. The bars are 150 calories and sweet enough to satisfy you without the guilt. 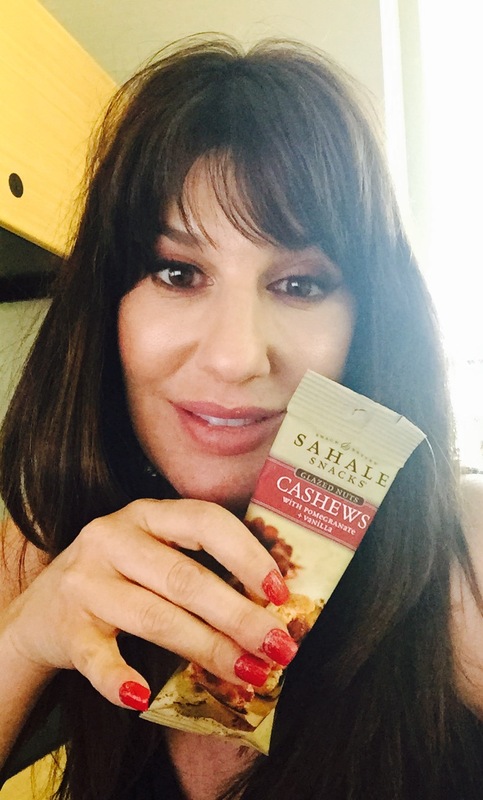 I loved these grab and go snacks and they would be a perfect pick me up. The package I received was glazed cashews with apple bits that were infused with a pomegranate flavor. The vanilla flavor was very pronounced but generally really good. I liked that these were packaged in a long narrow bag that made them easy to pour into your hand and snack on. These aren’t a messy snack so they are great if you are dressed up. While I munched on these, I thought they would go great in salads, yogurt, oatmeal, or as an ice cream topper. The nuts are fresh in the package with the crunchy sweet coating you’d expect to get with glazed nuts. This was an exciting product to receive. There are not many complexion blurring products on the market and it’s a new beauty trend from Korea. This can be used under foundation, over foundation or when you are wearing no makeup. It contains tiny particles that deflect line and minimize the appearance of fine lines, even out skin tone, and hide pores. The product definitely manages to do this and feels good on the skin. 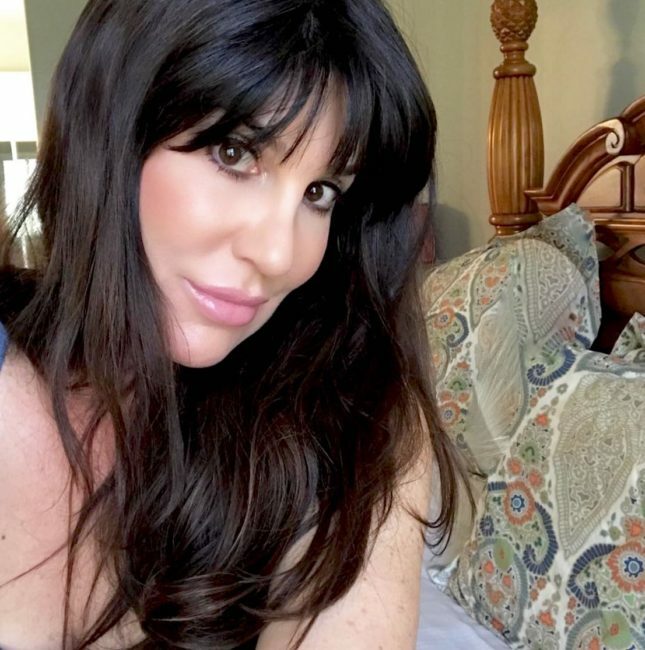 The results are superficial and there’s no long term positive effects to be gained from using the product but you do get somewhat of an Instagram filter for your skin. Wearing over makeup was not successful for me but under makeup it worked as a good primer and minimized pores and fine lines. There was no particular extended wear time with my makeup when using the product but that isn’t what it’s advertised to do. As far whether or not it would be compatible under or over all foundations is something I can’t comment on but some reviews do indicate it’s not compatible with all foundations but specifics as to why were not available. This was the biggest disappointment in my IDoVoxBox. I have seen mixed reviews on this foundation but I was expecting a better result than what I got. What I can say is that the shade was absolutely perfect for me. It matched my every day foundation exactly so I was very excited at first. I tried this foundation three different ways. I used it on bare skin, over the Nanoblur skin perfecting cream, and over my every day foundation primer. I was not satisfied with the finish under any conditions. The formula was sticky on my skin and difficult to blend. Regardless of how well I blended it and the tool used (fingers, brush, and Beauty Blender), the foundation appeared patchy and dry looking. The texture was frustrating to work with and I was so dissatisfied with the result that I removed it after each application and didn’t wear it. The formula also felt dry once set on the back of my hand. There are a lot of questions from people wanting to use a luminous foundation who have oily skin. My skin is normal to dry so while this didn’t work for me, it might be an excellent choice for someone who has oily skin and wants a luminous finish. Perhaps, the natural oils in a different complexion type would be a good combination with this product. These new lip formulas come in beautiful colors and I was really excited when I swatched Phantom Pink which came in my VoxBox. However, the formula was not for me. 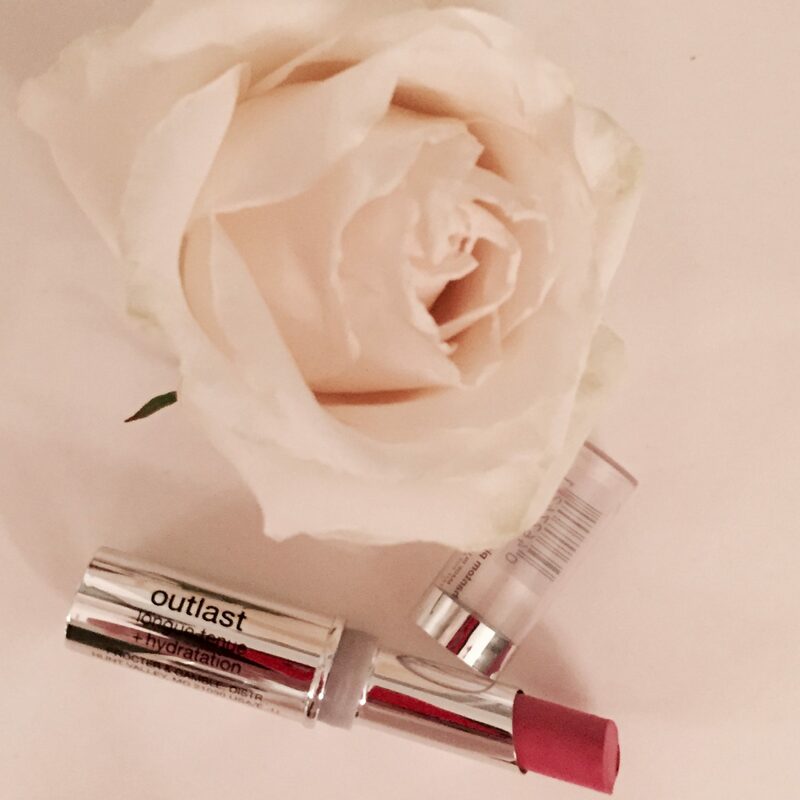 It’s a lipstick that is designed to be longwearing and moisturizing but I look for a flawless finish on my lips. This lipstick, even after applying several coats, had a patchy look. It was not a rich and consistent lip color. I never got to the point where I tested the longwear capability because the lipstick wasn’t attractive on me and I didn’t wear it. I have very full lips and with a lot of lip real estate, a product has to go on flawlessly. The colors in this collection are very pretty and the issue I had with the formula may not be a concern for women with smaller or thinner lips. For me, Neutrogena has been a trusted brand for many years. This is not a product that I previously used although I have used many other Neutrogena products. 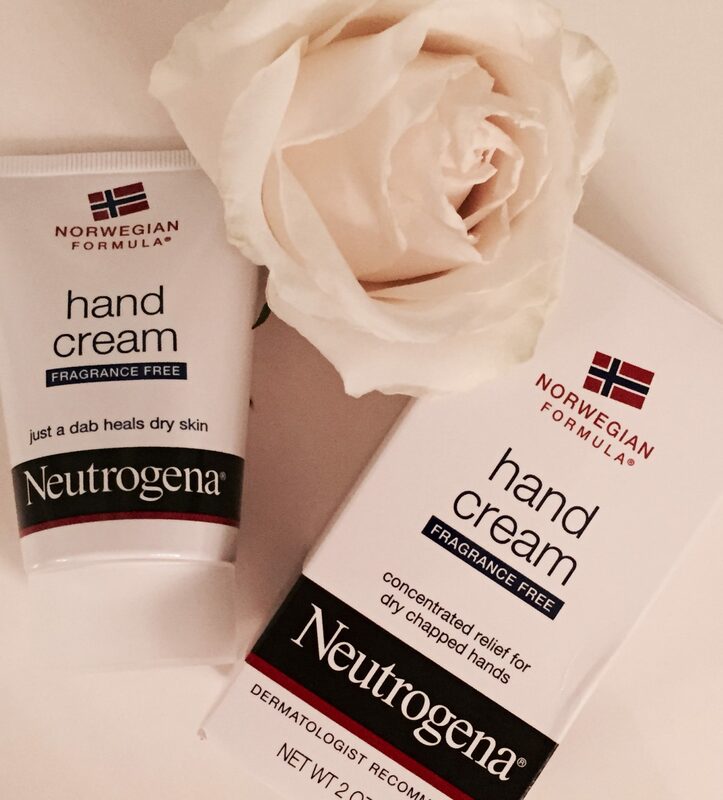 This hand cream works extremely well to smooth and soften dry hands. Only a small amount is needed and if too much is used, you may deem the product to be greasy. In reality, it is not greasy when used properly. Only the size of a pea is needed when applying this cream to your hands. 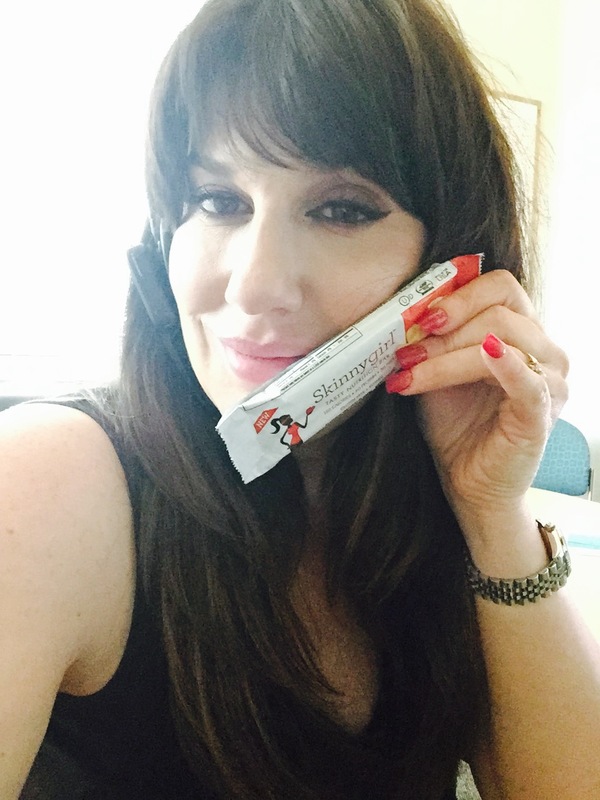 I found this cream to be long lasting and I did not need to continuously reapply it. The Neutrogena cream is very concentrated and the sample I received was fragrance fee which is nice as it doesn’t compete with any perfumes or scents you may be wearing. This is especially important when considering a wedding day. I know that I wouldn’t want anything other than my chosen scent to be apparent and it’s important your hands are smooth and pretty as everyone is looking at them on your wedding day! What do you think? Have you tried any of these products? Some of you have asked me how to get a Voxbox and I’m no expert on that, this was my first one but let me know if you’d like me to do a post and provide the tips I could offer. Thanks for reading (waving bye)! *I received these product samples from Influenster and all opinions expressed here are my own and in no way influenced by any companies. I had a bad, bad feeling about that foundation. I am soooo glad that you tried it and gave an honest opinion. I have found that there are a few brands of foundation that just give you that dry, almost scaly look. Looks like I will be sticking with the stuff I love. The subscription box trend has really blown up and I’m not surprised. I used to love getting an Ipsy bag but I cancelled it after a couple of years because I had 24 mini makeup bags. Love the idea of the boxes. Influenster is kind of unique. They are PR and marketing so this box was given to me. They are hard to get though. But if you are an active member sometimes they choose you and some boxes are Yves St Laurent and others are food based. It’s very interesting and fun. I’ll take the money!!! I really it a lot. It smells good too!!!!!! What a fun box! It’s too bad that some of the products didn’t work out for you though. I’ve personally never tried any of them. However, I have tried some Skinny Girl stuffs. Mainly the beverages lol. I didn’t know that more items were added to the line. Very interesting. Skinny Girl has lots of stuff. Target carries a lot of it. Oh wow, thank you so much for a honest review! I had so much high hopes for both CoverGirl products but good to know they are not worth it. My skin bounce between dry and very dry so I’ll be giving the foundation a miss. If you live somewhere where you could return it if you didn’t like it, I’d say give it a try because there is no risk and everyone’s skin texture is so different. But if you’d be stuck with it, well….. you might want to explore some that have more consistent positive feedback and have been on the market longer. I was disappointed because the color match was perfection for me. 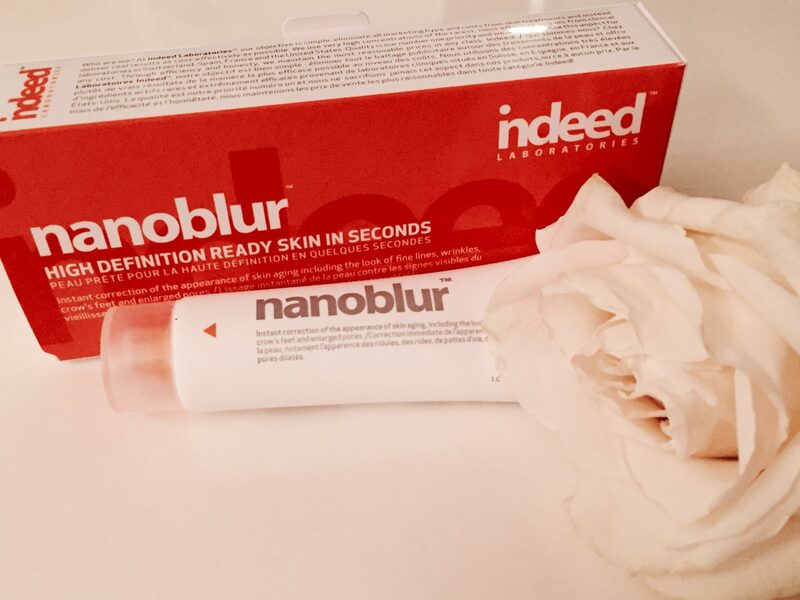 I did post a mini review of the nanoblur on Facebook. 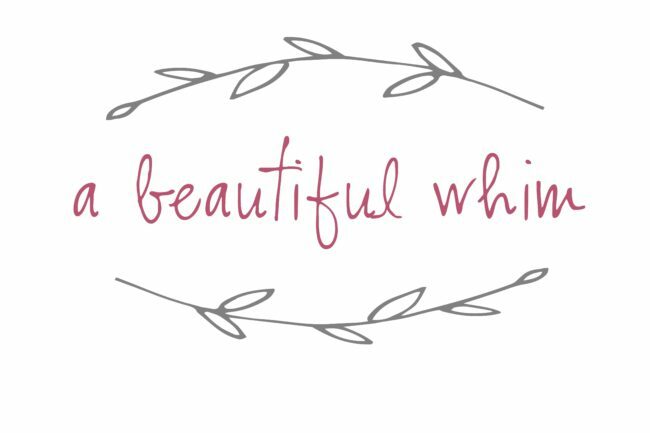 http://facebook.com/beautifulwhims – seems to be a good product but you have to experiment to find how it would work best for you. Alone, over makeup or under makeup. 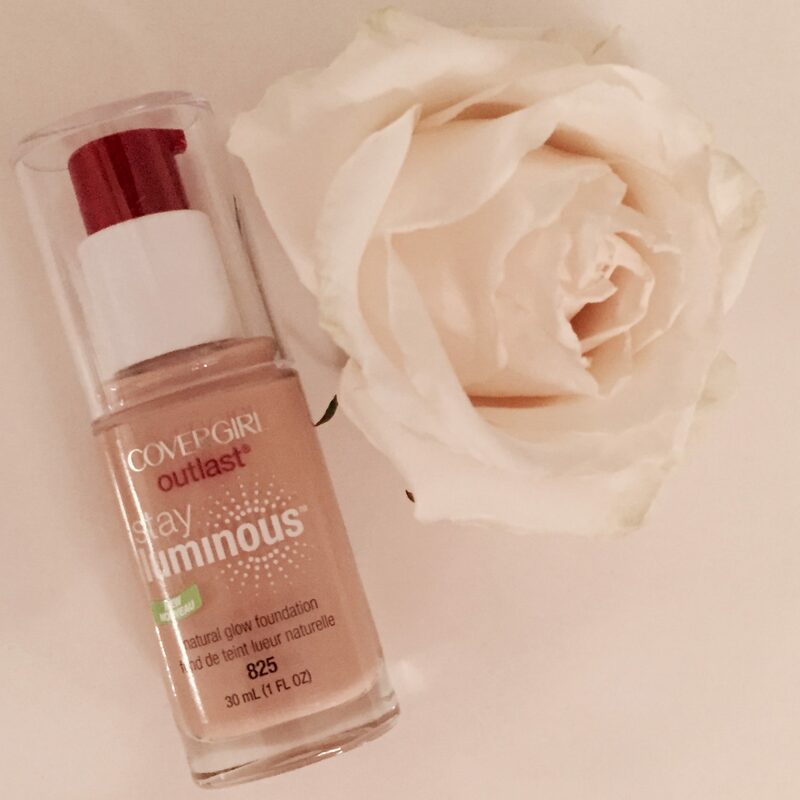 The Covergirl may be a really good luminous foundation for someone with oily skin. For me, my skin is too dry for it.